This was from a little over a week ago. Note that the bottom board on 1210 needs replaced. This is a part of my normal Spring Maintenance. It is better to replace it this Spring. That is when the stack will be at it’s lightest. As the summer goes on it will only get heavier and heavier. I hope to have several hundred pounds of honey in this hive by September. 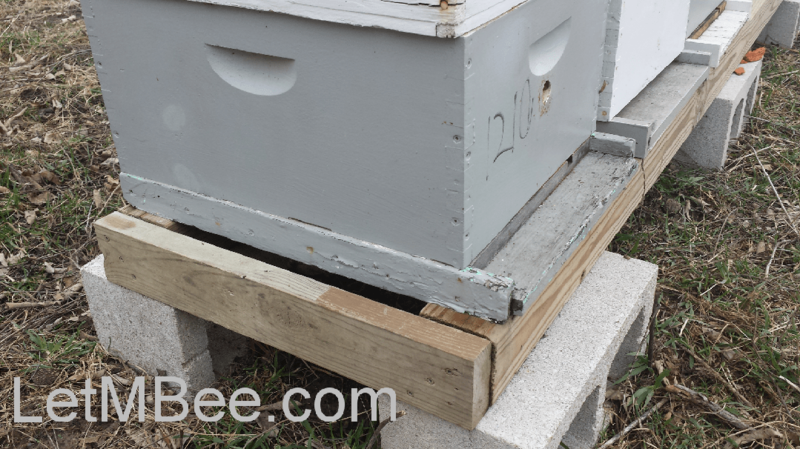 I don’t want the bottom board to fail resulting in the hive falling over. I will be taking pictures of the things that need to be replaced and posting them along my progress. This entry was posted in Hive Reports and tagged bottom board. Bookmark the permalink.